Hofmann (HFM) has built an energy efficient HVAC system for the Beijing Huamao Center. 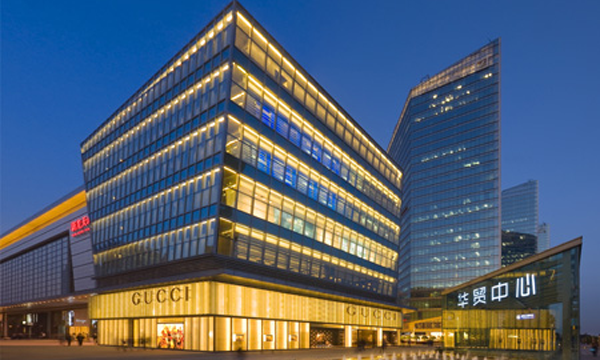 Beijing Huamao Center is located in the CBD core, which is composed of three super 5A intelligent offices, two international luxury hotels, international apartments, commercial buildings and the central square. CBD has become a high-end, stylish, modern international Level business circle. Beijing Huamao Center emergence has made CBD prosperous area eastward, established a new commercial landmark of CBD. This ultra-large international business office building is one of Hofmann (HFM)’s high-rise building applications. In this project, Hofmann (HFM) with years of experience in high-rise building heat transfer field has built an energy efficient HVAC system for the Beijing Huamao Center. Beijing Huamao Center starts from the west of West Dawang Road, east to the East Fourth Ring Road, south to Tonghui River, north to Chaoyang Road. The total construction area is nearly 100 million square meters, includes 300,000 square meters of super 5A intelligent office, 160,000 square meters of super five star hotel, 250,000 square meters of Huamao Mall, and 250,000 square meters of international apartments. In which the total construction area of T1-T3 office building is about 30 million, three buildings are more than 100 meters, which belong to ultra-high office building. With the rise of large-scale high-rise buildings, how to solve the high-rise building HVAC system design and construction problems are more important, especially water pressure of air-conditioning equipment is significant. 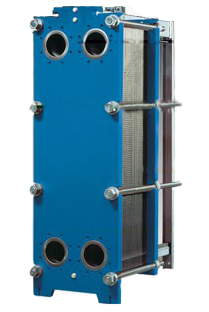 In order to save energy without reducing economic efficiency and environmental comfort, the use of plate heat exchanger shows its unique energy saving and environmental protection effect. Second, set up a cooling station between high-low partitions or at the top of a high-rise building. However, large refrigeration units are constrained by factors such as space, land occupation, transportation, installation, structural loads and equipment vibration. The modular refrigeration units with convenient transportation and installation, small footprint are expensive. The cost per thousand kcal is more than 10,000 Yuan investment. So this program is not ideal. Third: put plate heat exchanger in the middle of the equipment layer of the super-high-rise building, making the low-zone equipment pressure not exceed 1.0MPa, that is, low-level 7-12 ℃ chilled water is changed into 8.5 ~ 13.5 ℃ secondary chilled water through the plate heat exchanger. It not only reduces the early equipment investment and design difficulties, but also greatly reduces energy consumption in the late operation. Therefore, Hofmann (HFM) in accordance with the third energy-efficient heat transfer method makes the heat transfer program and efficient heat exchanger unit for the China World Trade Center office, whose one-stop solution for the heating and cooling requirement for high-rise building air conditioning system. Hofmann (HFM) has been committed to provide high-quality heat transfer solutions and heat transfer equipment. In the high-rise building applications, Hofmann (HFM) hopes to build "high ground” in the heat transfer field. For heating, cooling and other different demand conditions, Hofmann (HFM) with many years application experience and technical support provides satisfied heat transfer schemes for each super high-rise building. While ensuring the comfortable temperature of the building air conditioning system, reducing the consumption and saving more economic investment for customers are important.